We live in a time where the vampire genre has been adopted by mainstream moviegoers and glamorized to within an inch of its (un)dead life (yeah – I’m not sure that makes sense either – but stay with me). The Twilight movies have taken vampires and sexed them up in a way that not even Anne Rice could have envisaged, robbing these creatures of the night of their true horror, replacing it with schmaltz and hair product whilst targeting the tween-age audience. That doesn’t mean that we should turn our backs on all films featuring these nocturnal bloodsuckers. No. The cinematic journey of the vampire has always been cyclical, evolving as tastes change. Now, director Jim Mickle’s Stake Land takes the vampire movie on the road and injects some energy into the genre, giving it a gritty makeover that will leave fans of Stephanie Meyer’s books and their adaptations reeling. 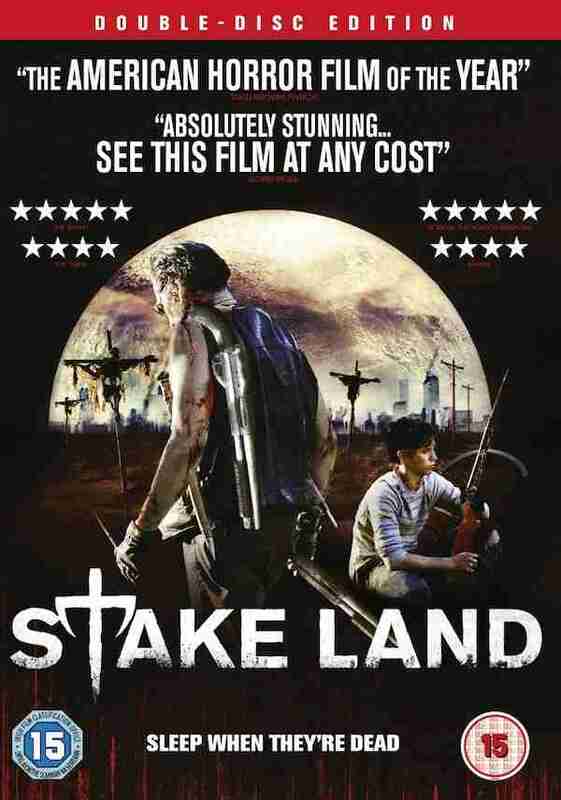 Stake Land is a post-apocalyptic vampire film that throws in a variety of other genres – think of The Road meets 28 Days Later by way of Near Dark. Now, it’s not as good as those films, but it does pack a pretty good punch considering its low budget – making it an enjoyable ninety minutes for horror fans. Connor Paolo is Martin, a young man whose parents are killed during a vampire pandemic. He is taken under the wing of Mister (co-writer Nick Damici), a fearless vampire killer, who shows him how to survive in a world that has fallen apart following the spread of the virus. Together they make their way across America, slaying the Vampires and tangling with a cult lead by Michael Cerveris’s Jebedia. Along the way they hook-up with a nun (an age –ravished Kelly McGillis) and a pregnant single mother (Danielle Harris). Stake Land continues the trend of “zombie-ing up” vampires, a quality made popular by the Will Smith starrer film I Am Legend, which in itself was a continuation of 28 Days Later. This in turn introduced some speed into the lumbering zombie movie genre (which also inspired Mickle’s Zombie Virus on Mulberry Street). The “vamps” here are feral animals, who can move at great speeds, they can smell blood from vast distances, traits that give the film some urgency and pace, but which also make the film seem somewhat derivative. The low budget of the film also means that a lot of the things which could have made Stakeland interesting happen off screen – our heroes travel from small town to small town, ignoring the cities; something which could have added something fresh to the film. 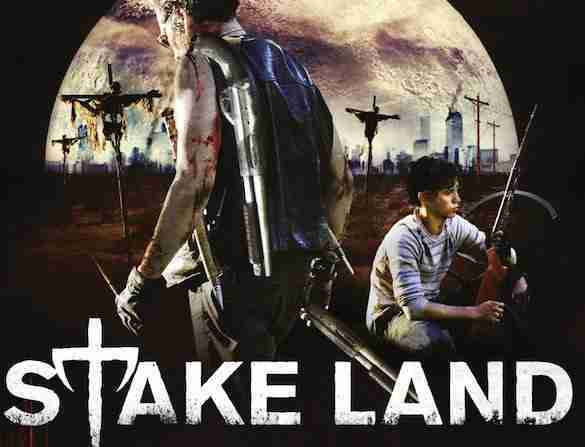 Stake Land is a well directed and acted horror/action film and although it isn’t the finest example of the vampire film genre, it is far from the worst. The film ends on a note that could lead to a sequel, something which wouldn’t be an unpleasant experience, if they manage to make the scope wider and up the emotional ante. I only had access to a pair of lively commentaries featuring director Jim Mickle, writer and co-star Nick Damici, Connor Paolo, Larry Fessenden and Brent Kunkle. There’s also a second disc with a variety of behind the scenes documentaries about the production.